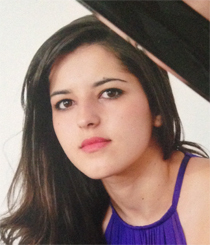 Melina Karagianni was born in Rhodes in 1995, where she started piano lessons at the age of six. In Greece, she studied piano with Katy Kastrouni, Maria Kanatsouli and Dora Bakapoulou. In 2007, Melina auditioned at the Royal Academy of Music where she earned a place to study in the junior department under a Greek Government Scholarship, and was taken on by Tessa Nicholson. The following year, she received a place at The Purcell School where she continued to study with Tessa Nicholson and received a full scholarship from the UK Government’s Music and Dance Scheme. Since April 2008, Melina has returned to Greece annually to give solo recitals in Athens and Rhodes, including a performance in Athens’s biggest classical venue, ‘Megaro Mousikis’. These concerts were very well received and resulted in her being asked to play in the international EPTA conference in Rhodes in September, 2008. Melina has performed, as a soloist and chamber musician, in many London venues such as Wigmore Hall, St. James’s Piccadilly, Steinway Hall, Christ Church, The Dukes Hall at The Royal Academy of Music and the Purcell Room at the Southbank Centre. In 2008 and 2009, she was selected in the Jacque Samuels Intercollegiate Piano Competition to play at the Wigmore Hall. In 2009, she took part in the 2nd International Liszt Competition, where she reached the final and later that year won 1st prize in the Iris Dyer Piano Prize at the Royal Academy of Music. In June 2011, Melina had the great opportunity of playing at an Investiture Ceremony at Buckingham palace, in the presence of The Prince of Wales, Prince Charles. In March 2012, she performed Brahms Hungarian Dances on the BBC Radio 3 programme ‘In Tune’, followed by an interview with Sean Rafferty. Later in March, she performed at the Fazioli Concert Hall in Sacile, Italy, for Purcell’s 50th Anniversary concert. 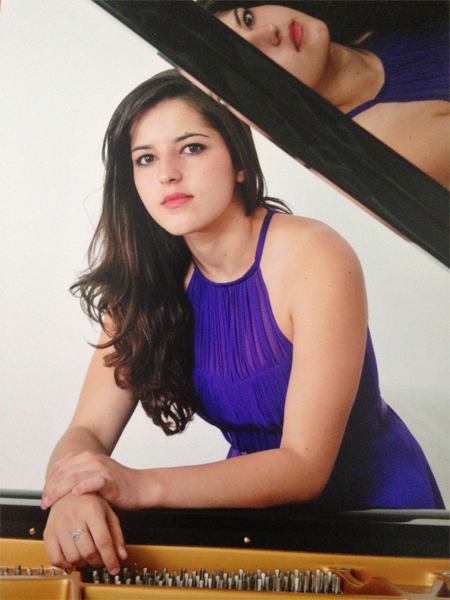 In May 2014, Melina participated in the ‘Alkan-Zimmerman International Piano Competition’ and was awarded 3rd prize. In March 2015, Melina won the piano prize at the AESS Courtney Kenny Award. In September 2016, Melina performed at the Piano Open Day at the Royal Academy of Music where she took part in a masterclass with the Head of Keyboard, Joanna MacGregor. Melina has performed in masterclasses with Peter Nagy, Kathryn Stott, Mikhail Petukhov, Steven Osbourne, Andras Schiff, Paul Badura-Skoda and Dmitri Alexeev. 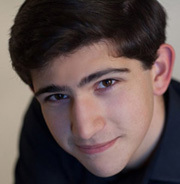 In 2013, she took part in the Valencia International Piano Academy, where she had lessons with worldwide performers/teachers such as Julian Martin, Yong Hi Moon and Dominique Weber. Melina graduated from the Academy with First Class Honours for her Bachelor of Music (BMus) Degree. Over her four years at the RAM, she was supported by the the ‘Trustee of the Athena Award’ as well as the Sir John Cass’s Foundation. Since 2017, Melina has also been a member of Talent Unlimited. She is currently in her second year of her Master of Arts Course at the Royal Academy of Music, where she was also awarded an entrance scholarship.